Your child deserves a pediatric dentist that is friendly, patient, and puts them at ease during every appointment and procedure. When you make the wise decision to trust Dr. Buddy Hollowell and Dr. Allen Porter of Triangle Pediatric Dentistry with your child’s oral health, you can be rest assured that they are in the very best hands. 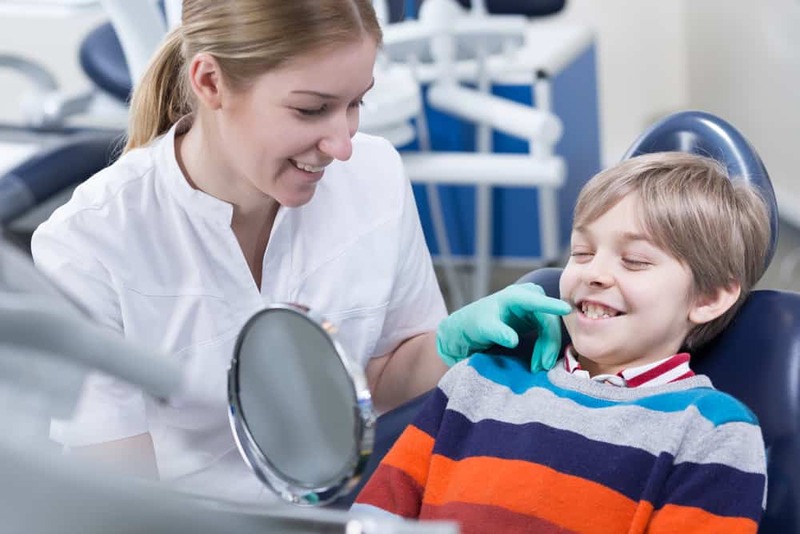 Once you bring your child into Triangle Pediatric Dentistry for their initial appointment, you can expect our dental team to perform a thorough exam of your child’s mouth including teeth, gums, tongue, cheeks, throat, and tonsils. Throughout the exam, our dental team will explain what is going on in kid-friendly terms so that your child is aware of the purpose of the exam. After the dental exam has been completed and any x-rays that were necessary have been taken, Dr. Hollowell or Dr. Porter will review the exam results and x-rays. Following the review process, one of our dentists will inspect your child’s mouth and determine whether any further dental measures are needed. At the end of your child’s initial visit, they will receive a goodie bag filled with a new toothbrush, floss, and toothpaste. They will also be given advice on how to protect their pearly whites and maintain excellent oral health. The dentists at Triangle Pediatric Dentistry will make every effort to get to know your child and ensure they are comfortable in our office. They value every infant, child, adolescent, and special needs child that comes to us for quality dental care and are committed to treating each patient as an individual. Note that even if you do not have Raleigh, NC health insurance or any type of insurance coverage, there are payment plans and other financing options. We will be more than happy to run your insurance to see if it coverages your visit. If you are searching for the best pediatric dentist in Raleigh, Triangle Pediatric Dentistry is sure to exceed your every expectation. To schedule your child’s initial appointment, please give us a call at (919) 435-7660. We look forward to making trips to the dentist fun and educational for your child!